Elizabeth I was Queen of England and Ireland until her death on 24 March 1603. 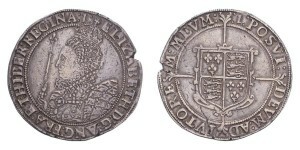 Sometimes called The Virgin Queen, Gloriana or Good Queen Bess, Elizabeth was the last of the five monarchs of the House of Tudor. Elizabeth was the daughter of Henry VIII and Anne Boleyn, his second wife, who was executed two-and-a-half years after Elizabeth’s birth. Anne’s marriage to Henry VIII was annulled, and Elizabeth was declared illegitimate. 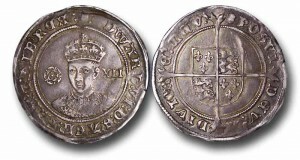 Her half-brother, Edward VI, ruled until his death in 1553, bequeathing the crown to Lady Jane Grey and ignoring the claims of his two half-sisters, Elizabeth and the Roman Catholic Mary, in spite of statute law to the contrary. Edward’s will was set aside and Mary became queen, deposing Lady Jane Grey. During Mary’s reign, Elizabeth was imprisoned for nearly a year on suspicion of supporting Protestant rebels. In 1558 upon Mary’s death, Elizabeth succeeded her half-sister to the throne and set out to rule by good counsel. She depended heavily on a group of trusted advisers, led by William Cecil, 1st Baron Burghley, as well as her astrologer John Dee. My lords, the law of nature moves me to sorrow for my sister; the burden that is fallen upon me makes me amazed, and yet, considering I am God’s creature, ordained to obey His appointment, I will thereto yield, desiring from the bottom of my heart that I may have assistance of His grace to be the minister of His heavenly will in this office now committed to me. And as I am but one body naturally considered, though by His permission a body politic to govern, so shall I desire you all … to be assistant to me, that I with my ruling and you with your service may make a good account to Almighty God and leave some comfort to our posterity on earth. I mean to direct all my actions by good advice and counsel. As her triumphal progress wound through the city on the eve of the coronation ceremony, she was welcomed wholeheartedly by the citizens and greeted by orations and pageants, most with a strong Protestant flavour. Elizabeth’s open and gracious responses endeared her to the spectators, who were “wonderfully ravished”. 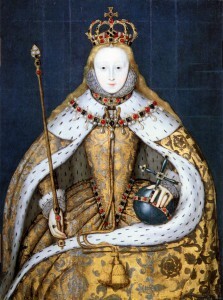 The following day, 15 January 1559, a date chosen by John Dee, Elizabeth was crowned and anointed in Westminster Abbey. She was then presented for the people’s acceptance, amidst a deafening noise of organs, fifes, trumpets, drums, and bells. Although Elizabeth was welcomed as queen in England, the country was still in a state of anxiety over the perceived Catholic threat at home and overseas, as well as the choice of whom she would marry. From the start of Elizabeth’s reign, it was expected that she would marry and the question arose to whom. Although she received many offers for her hand, she never married and was childless; the reasons for this are not clear. Historians have speculated that Thomas Seymour, who had acted as her tutor together with Catherine Parr (Henry VIII´s widow, and Elisabeth´s step-mother) during her adolescence, had put her off sexual relationships due to his (at least) flirtatious relationship with her. Catherine Parr´s death after complications due to childbirth made Seymour the richest man in England and his eye returned to Elisabeth. From fear or shrewdness, she avoided him, returning, with her governess, Kat Ashley, to her childhood home, Hatfield House. Seymour was beheaded on 20 March 1549 after being arrested on suspicion of plotting to marry Elizabeth and overthrow the Lord Protector. Elizabeth, already living at Hatfield House, would admit nothing. Her stubbornness exasperated her interrogator. In the spring of 1559, it became evident that Elizabeth was in love with her childhood friend Robert Dudley. It was said that his wife, was suffering from a “malady in one of her breasts” and that the Queen would like to marry Dudley if his wife should die. 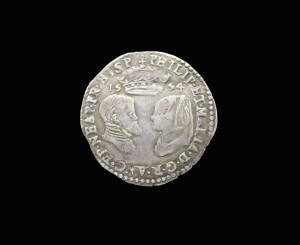 By the autumn of 1559, several foreign suitors were vying for Elizabeth’s hand; their impatient envoys reported that a marriage with her favourite was not welcome in England. 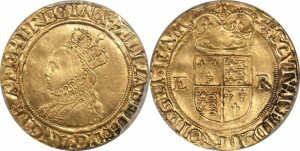 Among other marriage candidates being considered for the queen, Robert Dudley continued to be regarded as a possible candidate for nearly another decade. Elizabeth was extremely jealous of his affections, even when she no longer meant to marry him herself. She considered several suitors until she was about fifty. Her last courtship was with Francis, Duke of Anjou, 22 years her junior. While risking possible loss of power like her sister, who played into the hands of King Philip II of Spain, marriage offered the chance of an heir. However, the choice of a husband might also provoke political instability or even insurrection. Elizabeth’s unmarried status inspired a cult of virginity. In poetry and portraiture, she was depicted as a virgin or a goddess or both, not as a normal woman. At first, only Elizabeth made a virtue of her virginity: in 1559, she told the Commons, “And, in the end, this shall be for me sufficient, that a marble stone shall declare that a queen, having reigned such a time, lived and died a virgin”. 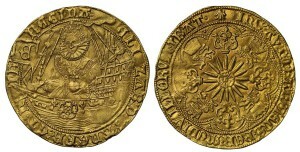 Later on, poets and writers took up the theme and turned it into an iconography that exalted Elizabeth. Ultimately, Elizabeth would insist she was married to her kingdom and subjects, under divine protection. In 1599, she spoke of “all my husbands, my good people”.